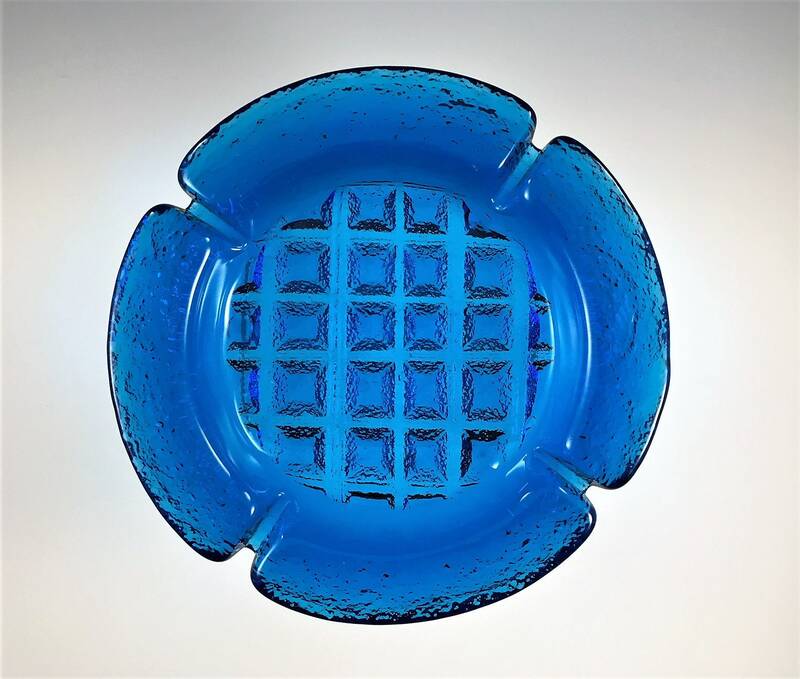 Featured here is a large vintage blue glass ashtray from Blenko. 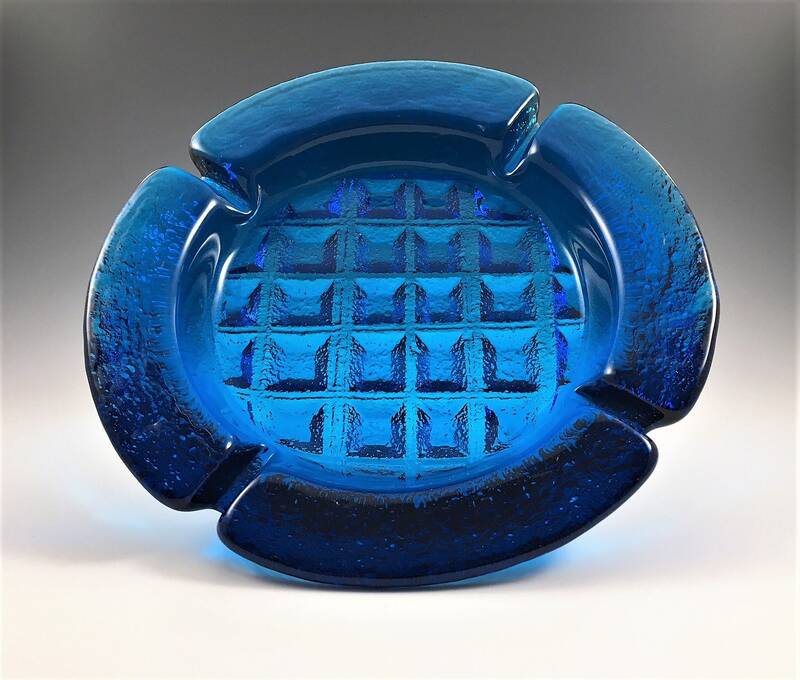 This waffle art glass piece is a Joel Myers design, and it measures about 8 1/4 inches in diameter and has a raised grid motif on the bottom. 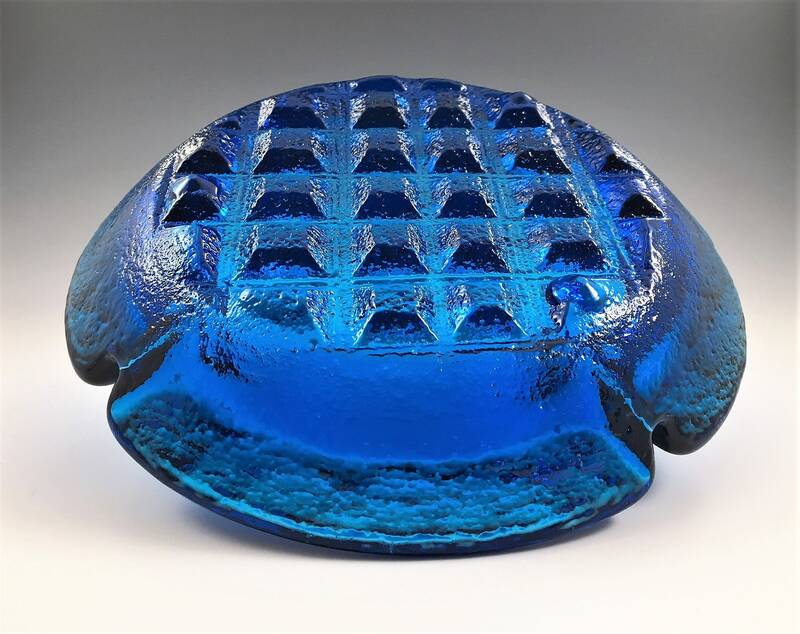 This heavy tray would make an awesome trinket dish or bowl. 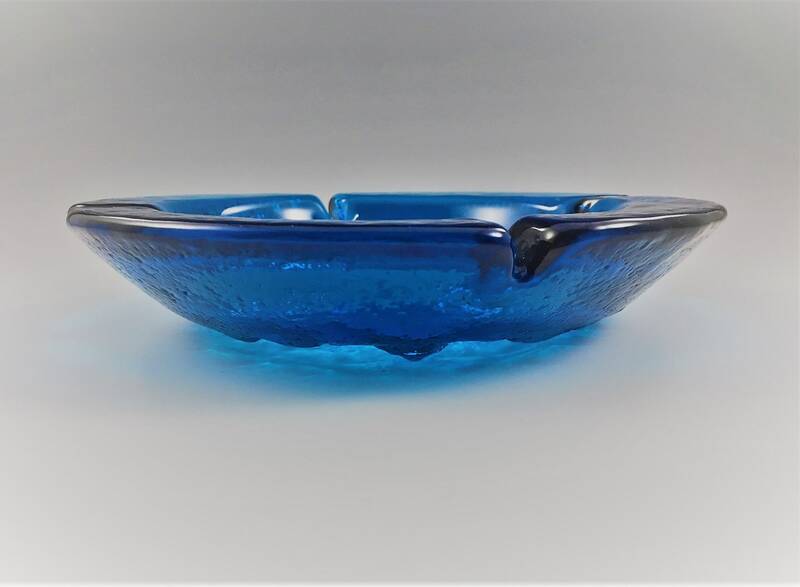 Perfect for the nightstand or foyer table to catch those odds and ends that fill your pockets. Excellent condition, with no chips or cracks.